PM Modi and Congress president Rahul Gandhi seem to have found a point of mutual connection in Italy ahead of the 2019 General Elections. There has been the unlikeliest of matches in Indian politics that even the heavens could not have predicted. 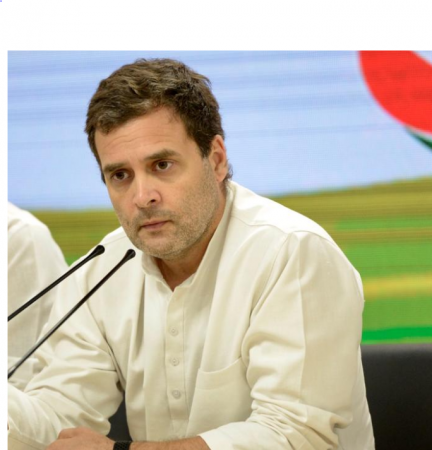 Just ahead of the 2019 Lok Sabha elections, Prime Minister Narendra Modi and Congress president Rahul Gandhi seem to have found a point of connection who is currently plying his trade in Italy. It had recently come to light that the Congress president is a fan of Juventus owing to Cristiano Ronaldo. Now, an old video of Narendra Modi addressing a gathering in Lisbon has resurfaced where referenced the Portuguese footballer in a positive light. 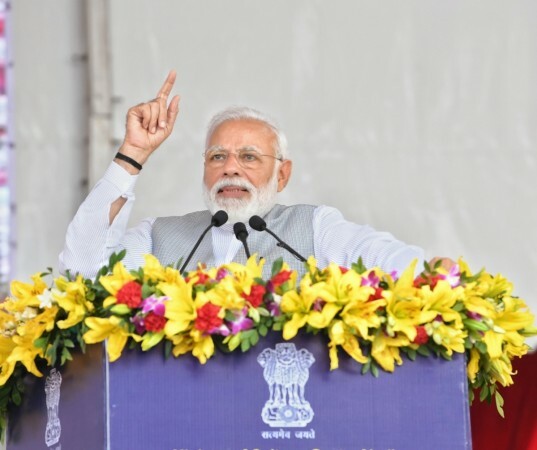 Modi was in the capital city of Portugal in June 2017 where he was promoting yoga and spoke about Ronaldo's influence in the realm of Indian sports. "Portugal sports ki duniya mai bhi Bharat ke saath jura hua hai. Aur jab sports ki charcha aati hai, toh Cristiano Ronaldo – usko kaun yaad nahi karega," PM Modi said amid a round of warm applause at the mention of the star footballer. "Aise aise shamtamaan log, wo football ki duniya keliye prerak hai. Bharat mai bhi, Ronaldo ka naam sunte hi football ke khiladiyo mai ek naayi urja aur chetna aa jati hai." The approximate English translation of Modi's statement goes thus – Portugal is related to India even in the discipline of sports. And when one talks about sports, the mention of Cristiano Ronaldo is only natural. People with ability such as Ronaldo's, they serve as inspirations for the world of football. Even in India, the mere mention of Ronaldo fills footballers with a new sense of energy and consciousness. Thus, it can be ascertained that PM Modi is a fan of Ronaldo like most of the nation and even Rahul Gandhi. The Congress president's admission had come in a recent event in Imphal called Dialogue for Democracy. Are you a Barcelona fan or a Real Madrid fan?" asked a lady from the crowd at the event. "I am a Juventus fan," replied Rahul Gandhi in a prompt and discrete manner. The gathered crowd cheered him for his choice of football club. "But between Barcelona and Real Madrid, I am a Real Madrid fan." Rahul Gandhi went on to rephrase his statement to attribute his love for football to a certain player named Cristiano Ronaldo, who plies his trade for Juventus. "Let me rephrase that – till [Cristiano] Ronaldo was there, I was a Real Madrid fan," Rahul Gandhi concluded. Ronaldo is a Portuguese international football player who plies his trade for Italian club Juventus. He started his career at Sporting Lisbon before moving to Manchester United and subsequently to Real Madrid before settling in Turin last summer. The 34-year-old is the highest international goal scorer among active international players with 85 goals from 156 appearances for Portugal.